I had been in Bali for over a week and had made cosmic connections with every place I visited and with the people I met. I had walked in forests, trekked through the rice paddies and even climbed mountains. Now my body needed some much deserved pampering and hence I decided to stay at the Tugu Hotel, Canggu (pronounced as Changu). The entrance.. Oh! The Entrance. It’s like you step into a time capsule with all the antique furnishings laid out in the lobby. The whole place is almost like a museum offering the most ravishingly romantic ambience. 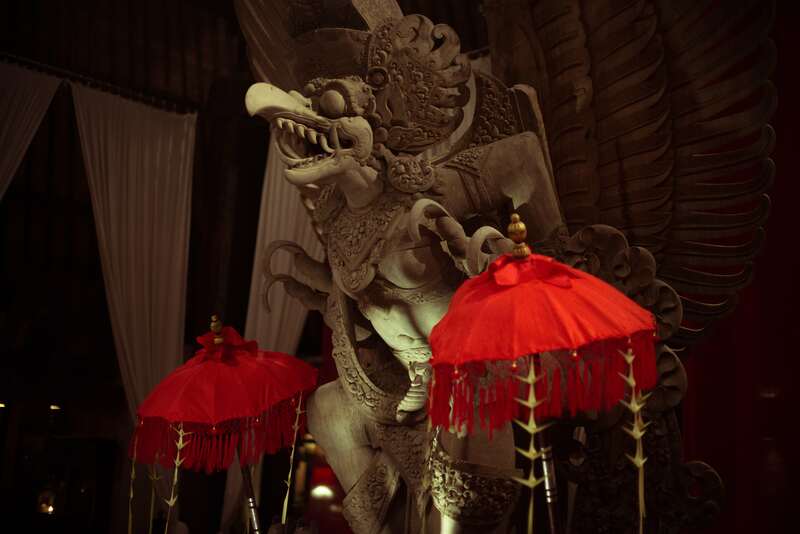 Right in the middle of the lobby, is a gigantic Garuda (a large legendary bird which appears in both Hindu and Buddhist Mythology). 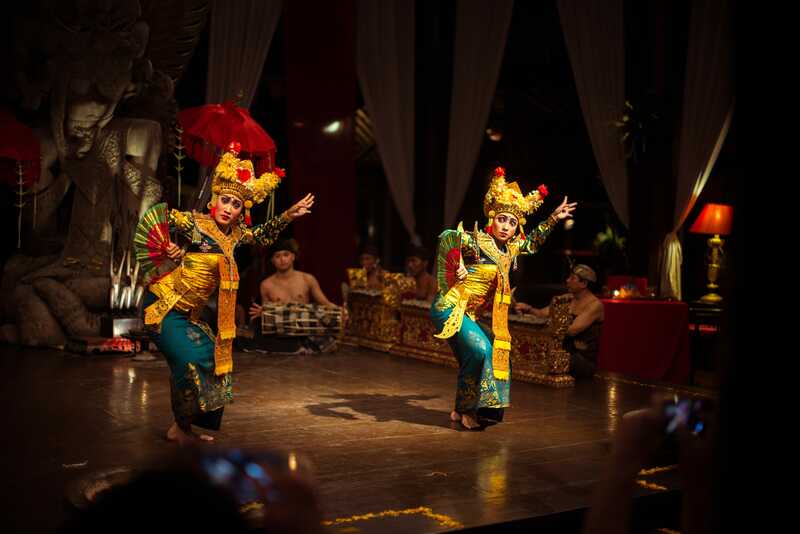 And it is right here that Tugu offers the most amazing cultural dances every Thurday night. I’ve stayed at many hotels and found that hotels always make the best use of space; but at Tugu; they can spoil you for space, view, luxury and romance. I was already feeling spoilt! Just the attention to detail and personalization can leave you smiling for hours. 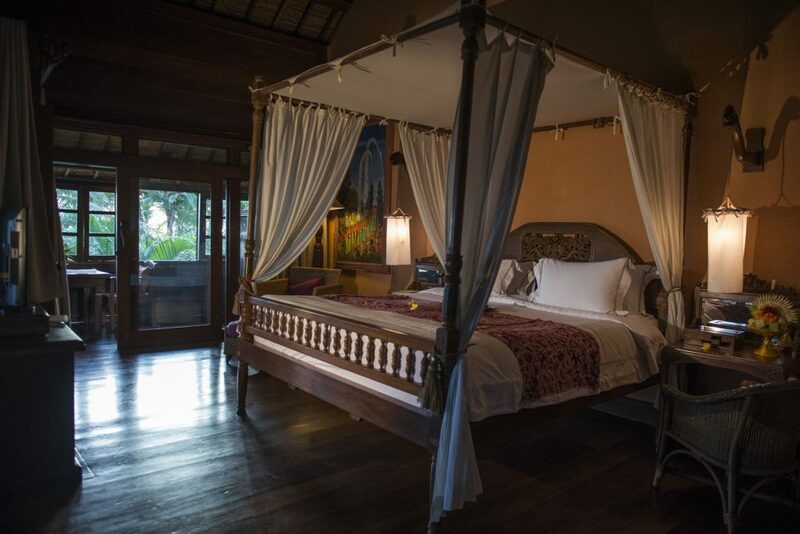 Each room is individually designed and immaculately reconstructs art, history, colors and textures of Bali. And the all dark wood used only accentuates every color used and the mood. I rested for a bit and then quickly got ready to watch the much talked about cultural dance performance. The hotel induction and the brass tub would have to wait tonight! It was everything you imagine and more. Series of gong players sat in the middle of the lobby which had been converted into a restaurant in a few hours. All dressed in traditional Balinese attire and looking brilliant. 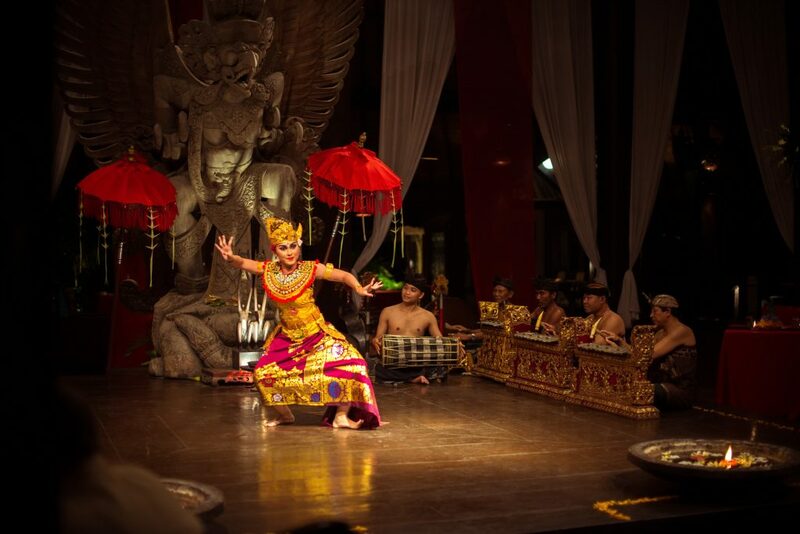 The Garuda; now made the most dramatic backdrop for the performances. I’d; infact; urge you to plan your trip to include a Thursday just for this performance. Oh and the food and cocktails were just amazing! 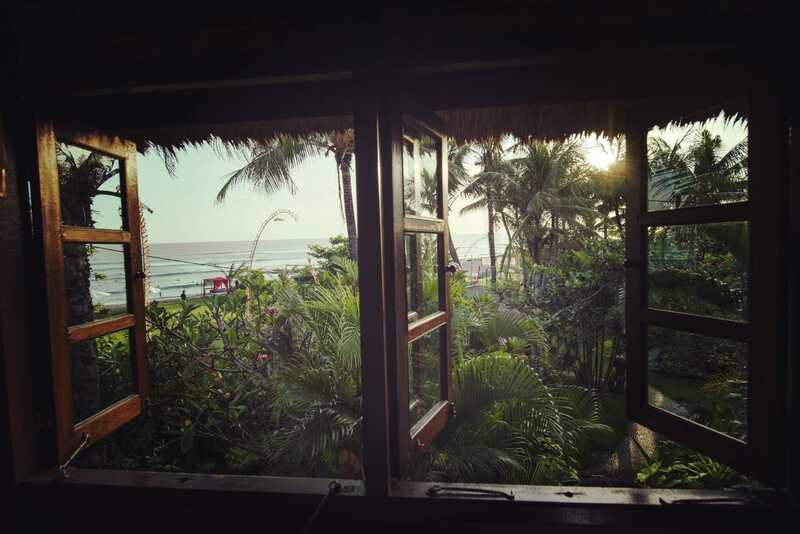 Tugu Hotel is situated in Canggu, a beach destination for surfers. And their private beach is clearly the best for enjoying every bit of the sea and the picturesque sunsets. The whole hotel is a labyrinth of lush tropical gardens and lotus ponds. Tugu means Monument; and its founder; Anhar Setjadibrata, is a collector of Indonesian antiques. 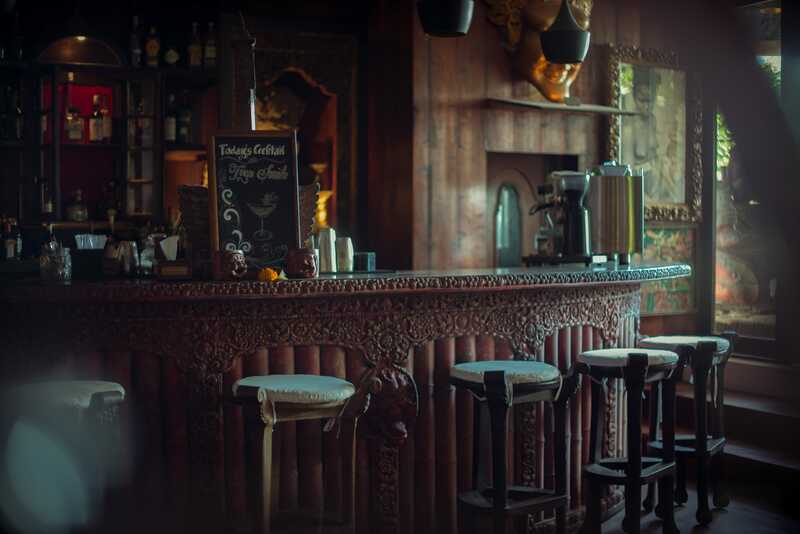 He has personally designed all the Tugu Hotels to create the most unique boutique hotels and share Indonesian culture and history with us travellers. 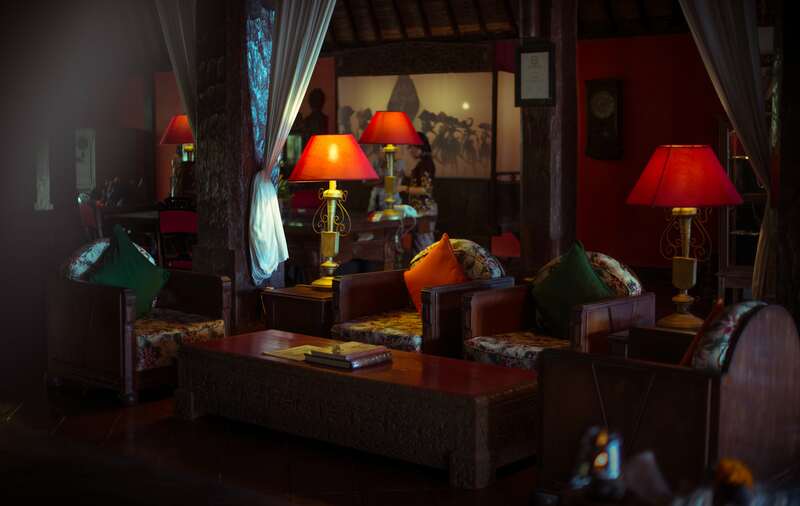 The Tugu mission clearly is to bring back to life the art, soul and romance of Indonesia’s yesteryears. My favorite is without doubt the JI at Bale Sutra. 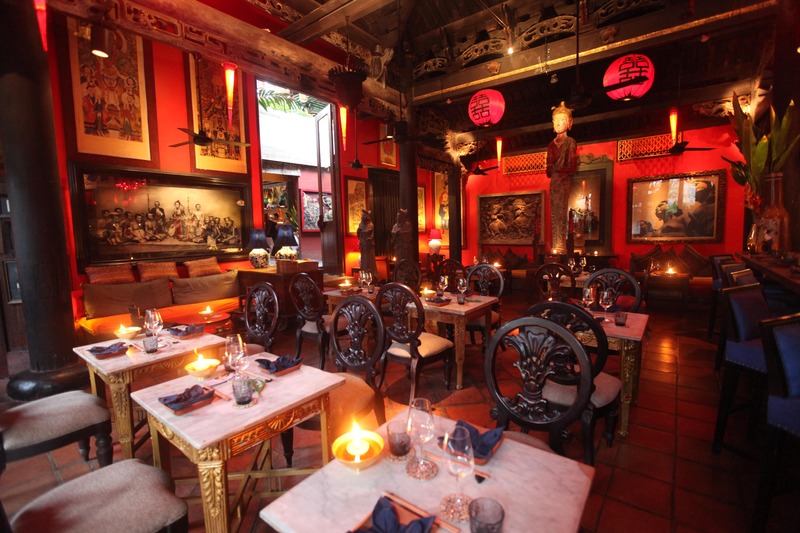 This restaurant is actually in an ancient Chinese temple from the Kang Xi period in 1706. 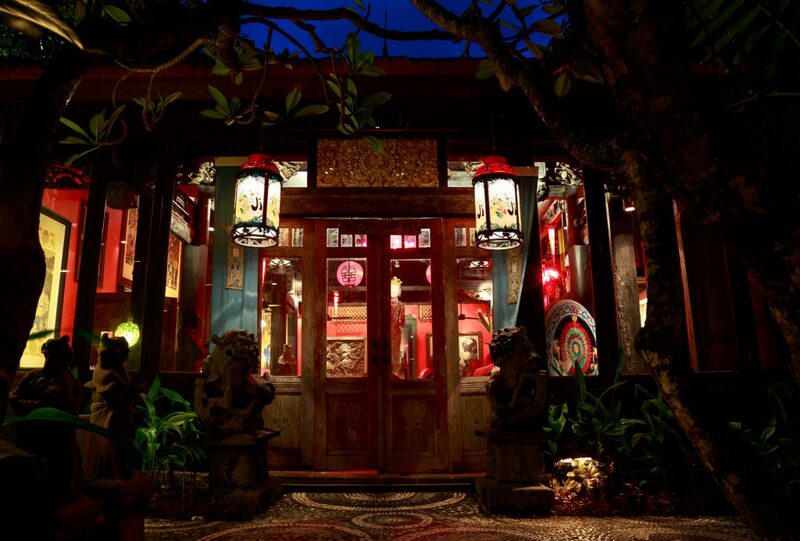 The temple was almost demolished and transported many time with the change of power through centuries and now finally rests at Tugu Hotel giving the most surreal feel and serving the most authentic Japanese Fusion, Sake and fine wines. And then a special mention to Calon Arang Bar in the black, red and gold finish facing the sea and offering the most romantic and dramatic sunset backdrops. You gotta try their signature cocktails here and enjoy the glorious view. Draped in shades of dark wood, black, red and gold; sound of the sea, gentle flow of the traditional gongs, sun throwing unseen colors in the sky; Tugu Hotel was truly a romantic hotel. 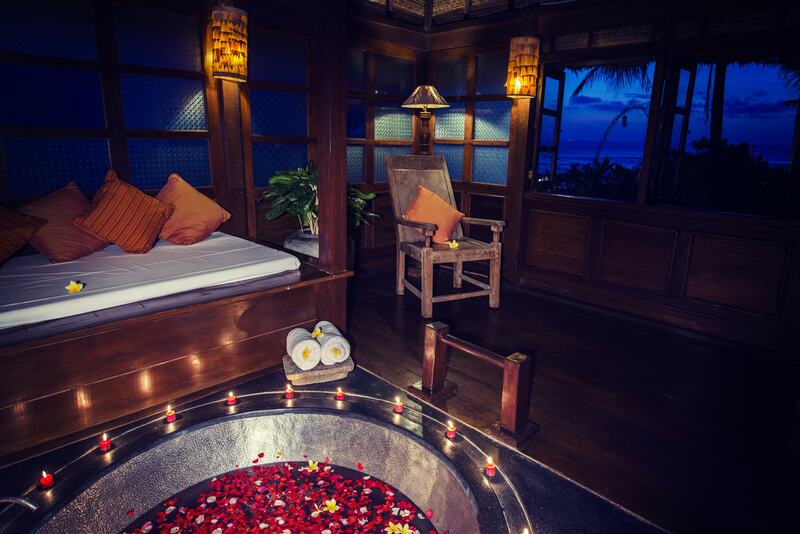 Perfect for lovers and honeymooners! I’m all about solo travel, but here I mostly did wish I was with my love. They do this special dinner at the beach on a 4 post bed with white canopies and lit with candles. It’s right out of the movies! Swimming in the fresh water pools is by far the most relaxing part! If you ever do stay here… do share your pictures with me!